Repairing locks done by our locksmiths can assure you get your security back instantly. From time to time, you may find yourself in needs of a professional locksmith service to repair one or two locks on your door. As for today, the manufacturer brand locks, especially for residential locks, made use by lighter material to make them break more often. It might be true that locks are used by iron and steel, but they can break, especially the old locks. Think for a moment, when was the last time you have changed the locks on your doors? As the time ware and tare takes it toll on your lock, it may be lose, worn out, and even the key doesn’t work properly. It may be the time to change your lock. But what if your lock is in pretty good condition, but still, it broke apart? In this case, you may call us to troubleshoot the problem and find the broken part. We can change the broken part of your lock and get your lock back working properly. A broken lock can gives you hard time on your daily basis. The door is hard to lock or unlock, and you may need some force on the lock to get it work. In other cases, you need to jiggle the key hard inside the cylinder in order to lock or unlock the door. In any case of lock and key issue, call a professional locksmith to determine the problem and fix it. We can do it on the spot as we have stoked a full working van with thousands of locks, parts, and keys. Whether you need to repair a lock in your office or in your house, we have all the parts and the tools to handle it for you professionally and efficiency. In addition to lock repair service, we also repairing door mechanisms, push-bars, and more. Lock Repair Service in Allentown, Bethlehem, and Easton, PA. It is important to mention that we serve the greater Lehigh Valley, Pennsylvania. Whether you’re located in Allentown, Bethlehem, or Easton PA, we can arrive within 20 minutes after you call us. You can save your time by calling us right now because we provide 24/7 emergency locksmith services. Don’t hesitate to call us for any issue you may have with your lock. Alongside with repairing your lock, we can also extract a broken key out of the cylinder. Repairing locks is our expertise! 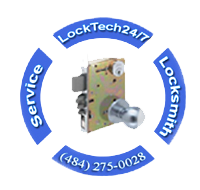 Our commercial and residential locksmiths can handle any task of a broken lock. We serve either residential locks or commercial locks.